Before creating any content, businesses need to ask why? The all too common practice is to dive in before figuring thi s out. The unfortunate result is content that doesn’t achieve objectives, simply because no objective was decided beforehand. Like a ship without a rudder, this will get you nowhere fast. Millennium is all about strategizing, creating, executing, measuring and optimizing communications that connect with audiences on an emotional level, engage them with your brand, and move them to action. 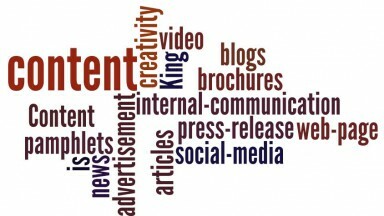 We use a proven process to develop remarkable content for social media, web pages, brochures, video, media ads and press releases. The process doesn’t end with a product or service launch. By defining success metrics in the early stages of a project, we can keep measuring the results to assure that the message is resonating with your target audience and make necessary adjustments to optimize response.